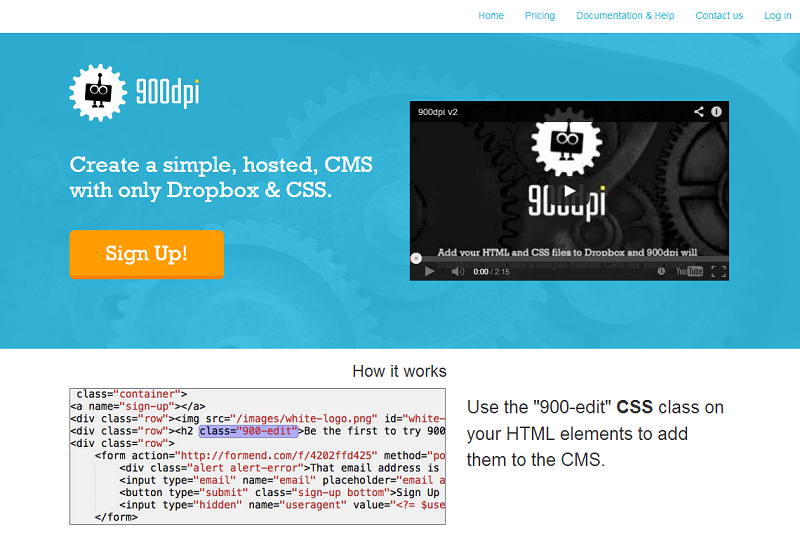 900dpi is a new service where you can create a simple, hosted CMS with only Dropbox and CSS. Do you need to make a super quick website or landing page? Just create your HTML pages, use the “900-edit” CSS class on your HTML elements to add them to the CMS, then upload your files to Dropbox. 900dpi creates a fully functional, blazing fast, securely hosted CMS that you can share with your clients. The service isn’t released to the public yet, but thanks to 900dpi, you can try it out before everyone else. Just visit http://900dpi.com/register/revisionpath or click on the screenshot below to get started. Let us know what you create! Thanks to 900dpi for extending this offer to the Revision Path community!